Gary Kemp staring in Hide and Seek 1972. Can anyone please identify this location from the 1972 film Hide & Seek, staring Gary Kemp. 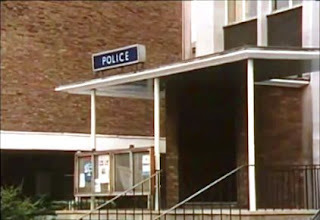 Most of the film set location were filmed in and around Deptford but I'm not sure if this Police Station is in Deptford. Any help would be great. It's the police Street in Burney Street, Greenwich. Still looks the same, only the sign on the portico has gone. This is Greenwich police station in Burney Street SE10 - both pics. 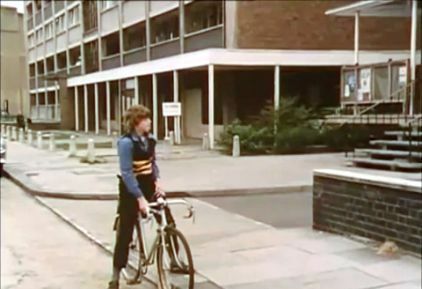 My family lived in Amersham Grove from 1967 to 1973 and l remember watching from the corner of my street when this was being filmed, some many good memoreys, shame lewisham council ruined it. Geenwich Police Station, I have been in there a good few times, for being a naughty person and ending up in prison for 10 years.That's what happens when you carry a loded sawn off shot gun.